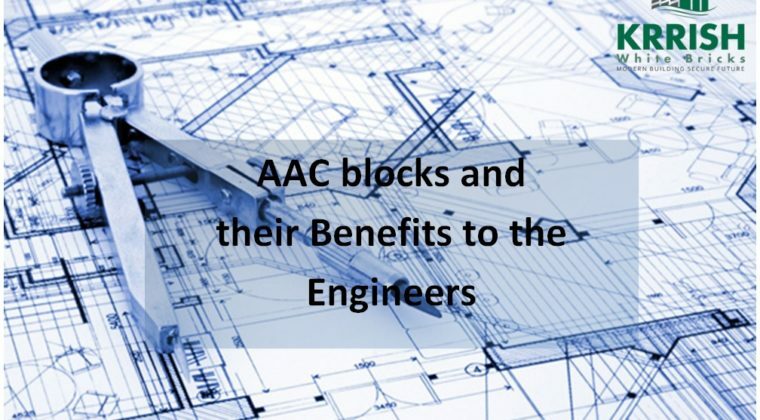 Why Engineers prefer AAC Blocks? Since the engineers have to think into every possible nook and corner of the construction work, therefore, they would have to ensure that the blocks are strong and have excellent finish. Next thing that you would benefit knowing about the blocks is that they do not allow capillary action and hence provide water resistance. This is the reason, these blocks are most recommended by engineers in the construction business. Compressive strength is defined as the strength or the amount of stability factor required overcoming a compression against any external factors when it comes to the contact with these AAC blocks. These blocks, hence add another advantage to the pleasure of an engineer. The blocks are made with Strong Structural Design Support. The reasons behind preferring and selecting these blocks are because AAC blocks, though they are not the newest traditional blocks, have been a pillar of success for all engineers and other building architects just for their implausible stability and other constructive factors. The factors viz its light weighted load, Eco and environmental friendly measures, easily cut advantage (can be cut conveniently) waste proof and less hazard prone measure. What are the different sectors in which AAC can be used? What is Next Generation Home,Are you aware? admin on WHAT TYPE OF MORTAR IS USED WITH AAC?